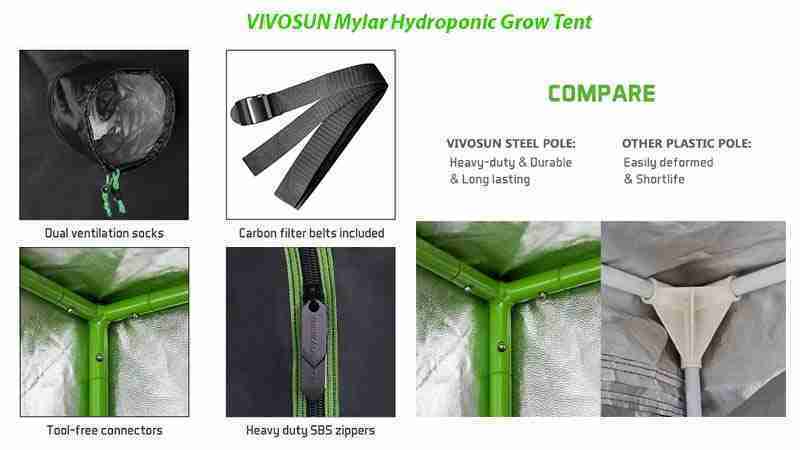 In this Vivosun grow tent article we are going to talk about some bestselling items of this brand. Many other brands for grow tent is available in market, but Vivosun is defiantly one of the best brands among them. And this time Vivosun has come with some improve models. Comparison to Gorilla grow tent Vivosun is no less. Infect you will found some affordable light option for your planting hobby. Here are three different sizes of Best Grow tent from Vivosun. Let’s check them out. If you want a big room for your indoor plants with all the necessary features, then you might like this one. The Vivosun mylar hydroponic grow tent is a reliable option for any hobbyist. Let’s see what more it could offer. This is a light, and waterproof grow tent which has 600D canvas. Plus it has a metal pole and corner adapter. The body structure of the tent is pretty much sturdy. The canvas is thick enough to trap the light and inside air. Infect the stitches are so dense that it doesn’t let pass the light or grass. It comes with many vents that let you attach different settings for light, ventilation, temp control. Also, the tent has a 98% reflective mylar to boost output efficiency. The tent has good space for placing different size and type of plants; either you can add racks or place some pots directly into it. This tent does not come assembled. But don’t worry the assembling is not that tough. You can figure out the entire thing once get the elements. But the instruction guide comes with the product is not so good. It’s not that clear to apply on the tent. Still, the setup is easy to do once figure out what to do. The construction is pretty great and doesn’t let the light come out from inside. The frame is sturdy than any plastic option. Has lots of vent holes which is good for having an extra option. High-quality zippers that last for a long time. The instruction is not proper. The drawstrings for the vent hole don’t shut 100%. 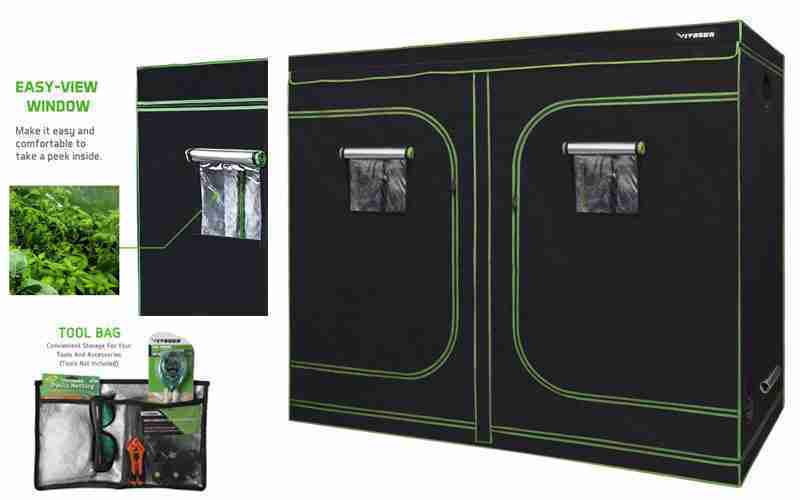 So here is a mid-size hydroponic grow tent that is perfect for small space. The Vivosun Mylar hydroponic grow tent has 98% reflective Mylar to boost the output efficiency. Let’s see what more it could offer to its user. This tent also comes with a big easy-view window so you can take a look without opening the door. Moreover, it has some an inner tool organizer which gives you space for the tools and grow accessories. Like, the other best grow tents it has removable floor trey. This is big growing space and little complicated to clean every time. So, when the dirt, dead leaves fall on the floor, or the tray could be clean without making shifting the pots or other things. For the ventilation, it has a ventilation fan with dual layer surroundings. The inner layer is covered and sealed tightly around the fan. So, the bugs cannot let in, or air could not pass through the joints. Useful to maintain a consistent temperature and humidity environment. Simple observation window for check out the plants. The interior made of high reflective quality. The zipper is not that convenient to open or close that much. 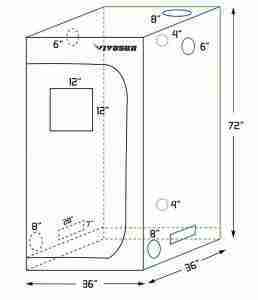 Here is a big size of grow tent that you could use for larger scale goring. 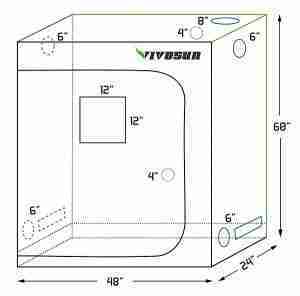 The Vivosun Mylar Hydroponic Grow Tent 96″x48″x80” is an unbeatable comparison to the size, features, and facilities. Let’s see what more it could do for the users. Like the other two tents above this one is made of same 600D canvas. It’s tear proof, water, and light-proof also. The whole tent is double stitches and ideal for locking light and air. For ventilation, this grow-tent has windows, holes, and fans too. The canvas covers its stand out on the metal poles. The poles are made of high-quality materials, finish smoothly and also suitable for easy installation. The tent is useful for storing the different size of plants. Like, you can put more than 10 large indoor plants in it. It also has back panel with doors. So you can better maintain the humidity down, and fresh air form that way. It has an observation window, metal rods for hanging things and high-quality zippers. 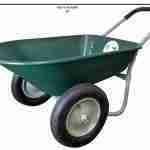 You will get pretty much everything that you need for going to different types of plants. The tent is a little hard to put together. After all, it a big size canopy and you can set it up without any assistance. But the instruction guide is pretty clear, not like the other two. So, it’s more simple and quick to understand and put together all the parts quickly. The metal frame is well constructed. The canvas is very thick and made of highly reflective materials. Comes with an observation window and tool pouch for more convenient use. The hanger rods are also rigid and not cheaply made. Has the capacity to withstand numerous lights to heavy objects. The zippers are heavy, well-stitched and do not pass the light though. Well- packaging comes with double box. Assembling the tent is a little hazard and need assistance to do that properly. With high-quality tents, the other things we found impressive is the packaging, shipping, and warranty. All the tents are very well packaged and shipped very fast. Also, they have come with two years of warranty. So, the overall service of this part from the manufacturer other than tent is satisfactory also. We hope, the Vivosun grow tent review has enlightened you about the features and services of these three products well. 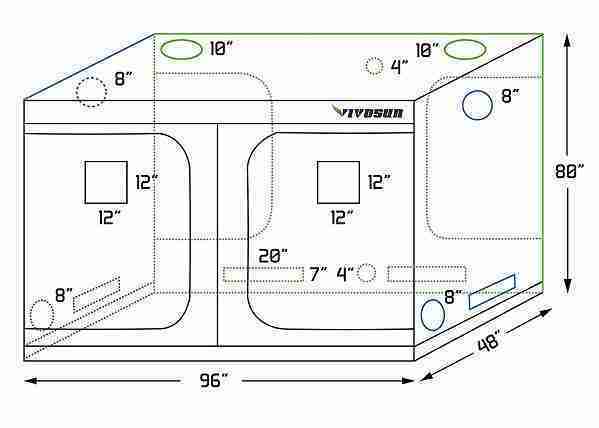 Now it’s time to measure your space where you are going to place a new tent, think how many plants you are going to grow and grab the best one form the VIVOSUN. 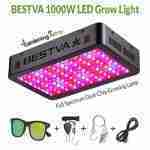 BESTVA 1000W LED Grow Light Review 2019 - Should I Invest?